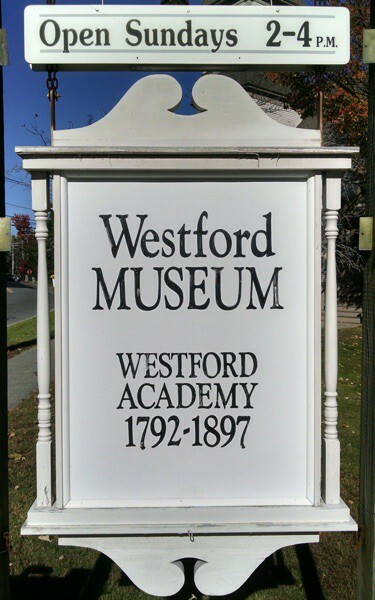 The Westford Historical Society, Inc. is a non-profit 501(3)(c) organization. The membership year runs from 1 October through 30 September. Time Travellers Membership for memberships of $100 or more. North American Reciprocal Museum (NARM) Membership for memberships of $100 or more. Members from one of the NARM institutions listed on their website who present a membership card validated with a gold North American Reciprocal sticker, are entitled to the following privileges at participating museums: Free/member admission during regular museum hours, member discounts at museum shops, and discounts on concert/lecture tickets. Please note: Some museums restrict benefits. Please see notes at the bottom for more information. Click here for a printable version of the list. Benefits for two adults and their children or grandchildren (under 18). Memberships are tax deductible to the extent allowed by law. Benefits are not transferable. *NARM sticker will be attached to your membership card. Details about benefits can be found on the NARM website.